*Daily Plan - Use the boxes to divide up times and contexts for tasks. *Tasks - Each box can have a separate task and get colored in as it is complete. Bonus Use: have your kids do this with chores for the week! *Daily Tracker - The open format of the boxes allows you to track new things each day, like calories or workouts. *Prep Lists - Make a master prep list for your planner, so you know what to take out of the house depending on your destination. *Brainstorming - The open block format is great from brainstorming a work project, goals, or any other cloud-based ideas. 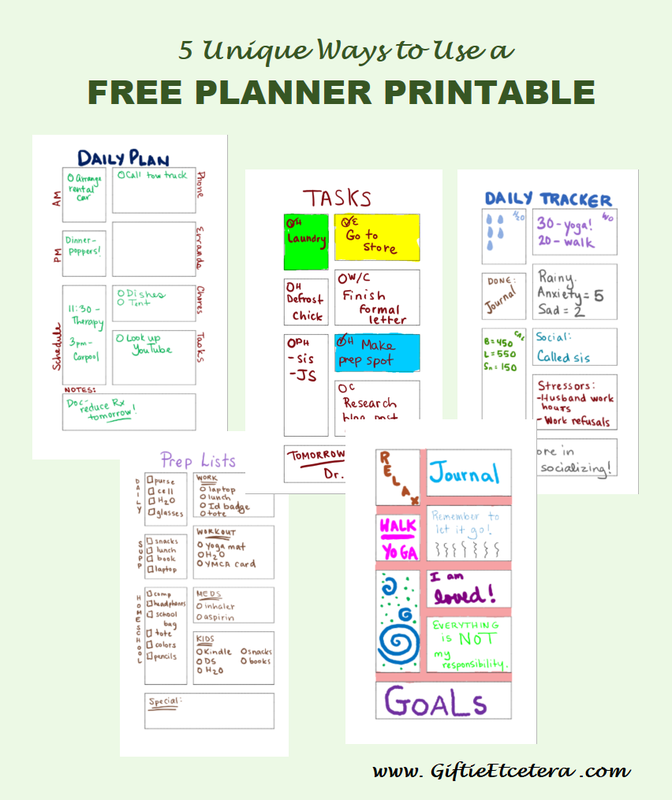 To get the free printout, simply visit Planner Fun right now! I just found your site and love this idea. I am overwhelmed by colorful ideas and you have demonstrated how simple can be multi-functional. My 'planner goal' is to use an organized notebook for 3 months and then reward myself. WHEN I get it, this printable will be used again and again, and in different ways.